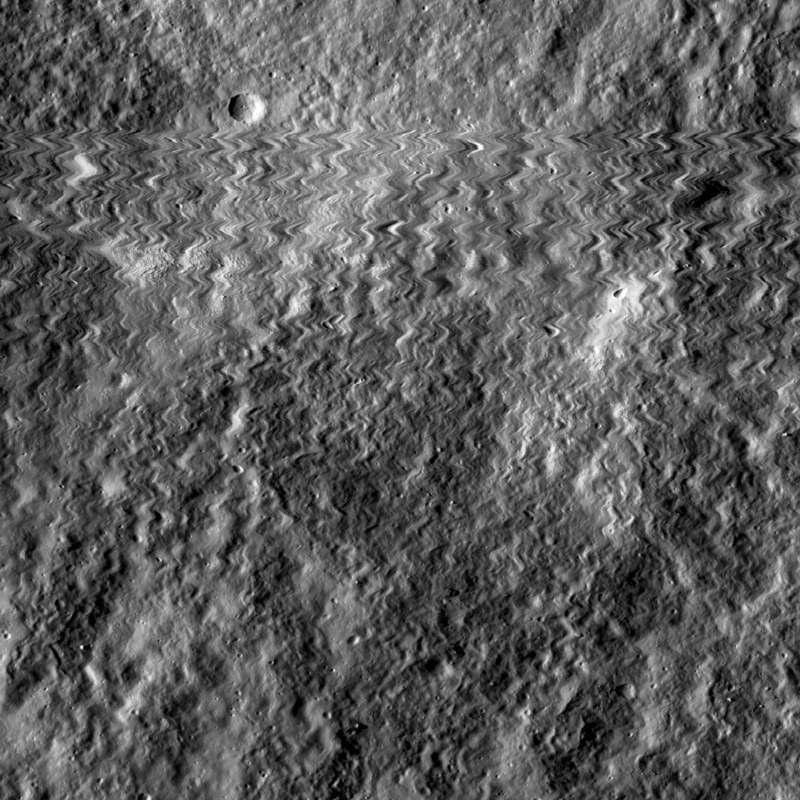 The first wild back-and-forth line records the moment on October 13, 2014 when the left Narrow Angle Camera's radiator was struck by a meteoroid. 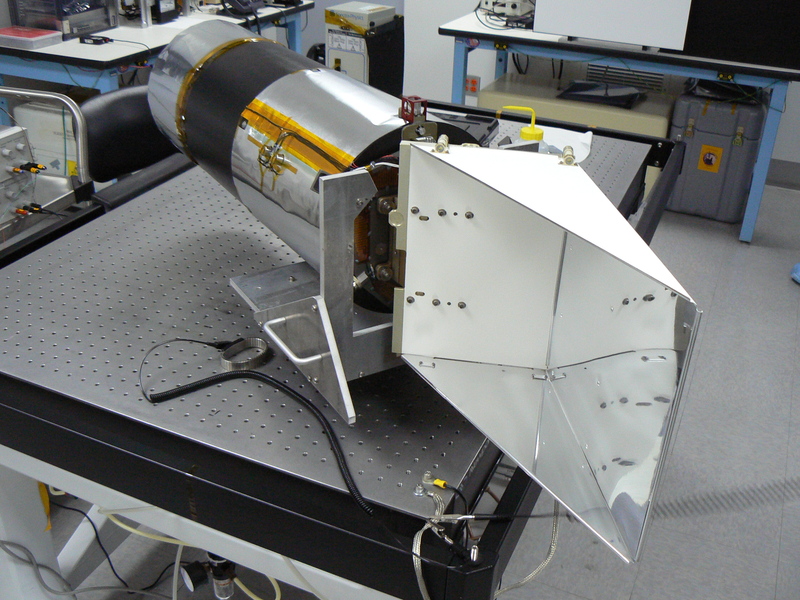 The Narrow Angle Camera sits on a bench in the clean room at Malin Space Science Systems. The radiator (right) extends off the electronics end and keeps the sensor cool while imaging the moon. Computer modeling shows the meteoroid impacted somewhere on the radiator.